Our Deluxe Bolsters weigh a full 9+ pounds! These bolsters are the perfect support for a number of yoga poses and should be firm enough to help you tackle those more challenging poses. Place one under the back, shoulders, and head to help open up the chest and lengthen the spine. Use one in seating poses to prevent clenching of the abdominals during forward bends. Made with 100% natural cotton, you will find that they are firm enough to provide full support, yet soft enough to be quite comfortable. 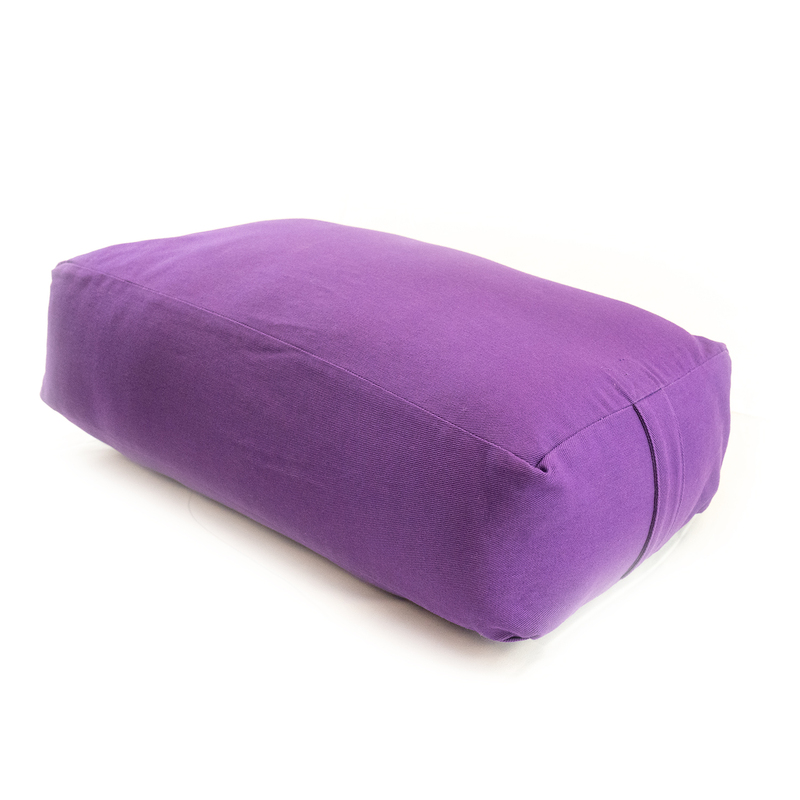 The Deluxe Rectangular Cotton Yoga Bolster is 24'' x 6'' x 12'', and has a zippered opening to remove filling for height adjustment. Note: Please note that these bolsters are NOT filled with foam and because of the fluffy nature of cotton the actual measurements are slightly bigger. The measurements given above are from one seam to another. Cotton will settle over time. Our Deluxe Bolsters weigh a full 9+ pounds! These bolsters are the perfect support for a number of yoga poses and should be firm enough to help you tackle those more challenging poses. Place one under the back, shoulders, and head to help open up the chest and lengthen the spine. Use one in seating poses to prevent clenching of the abdominals during forward bends. Made with 100% natural cotton, you will find that they are firm enough to provide full support, yet soft enough to be quite comfortable. 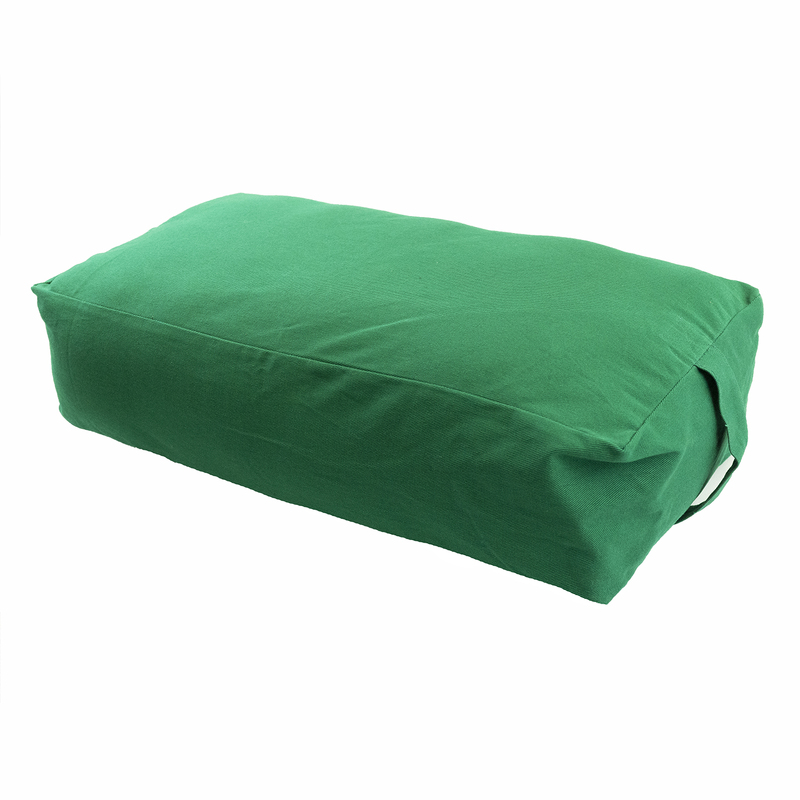 The Deluxe Rectangular Cotton Yoga Bolster is 24'' x 6'' x 12'', and has a zippered opening to remove filling for height adjustment. Please note that the measurements are for one seam to another, because of fluffy nature of cotton, you will find the bolsters little bigger in size but this will settle down with use. Very firm and sturdy. Holds shape well.